Things are just now calming down a bit for me. I got hooked up with a badge for SXSW, so even though I was exhausted from work and everything, I felt compelled to go to as many panels and shows as possible. My friend B came in for just Saturday and Sunday, to do SXSW too. His wife was supposed to come, but she had an ear infection and couldn't fly. 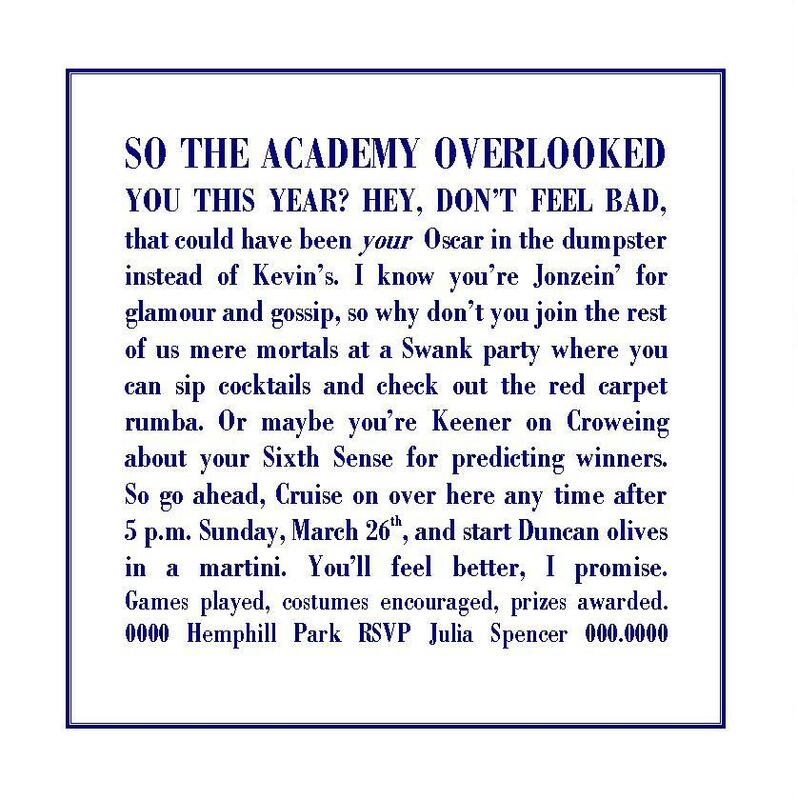 This past weekend, I threw my annual Oscar party, which went pretty well I think-Alice came, but it went on so late this year, she had to leave before it was over. But she and Jamie tied for most winners guessed correctly! 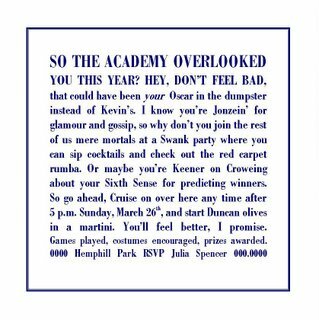 I was trying to deliver a party invitation Saturday night, looking for a friend's house, and I stumbled into a party hosted by a film production coordinator, where one of the guests was Wellesley class of '90, a French major, and very much interested in film! What are the chances of that happening? I hope maybe it's the beginning of some new friendships. 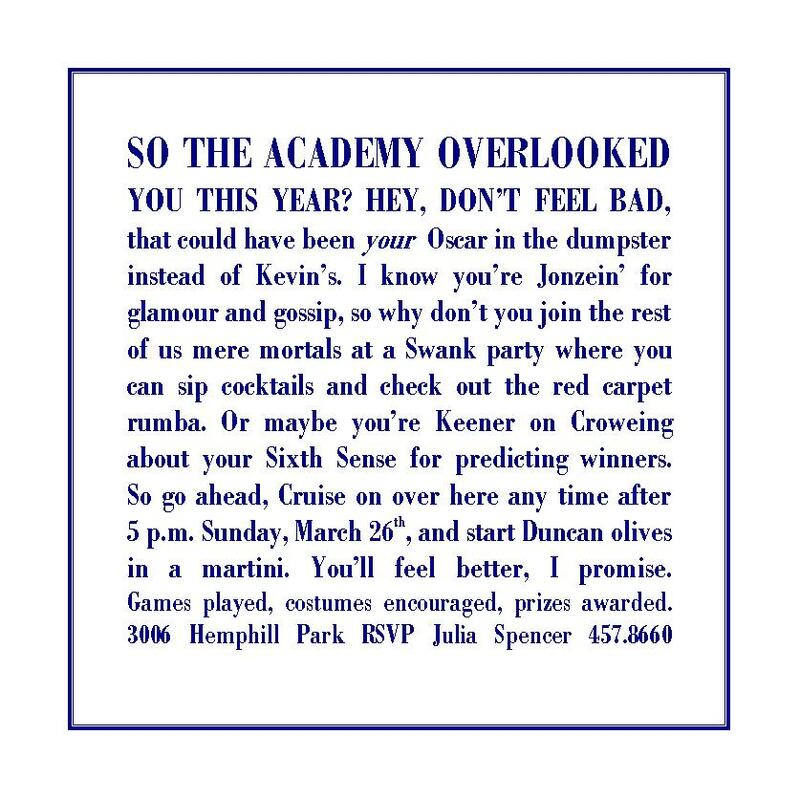 Here's my Oscar Party invitation from 2000. 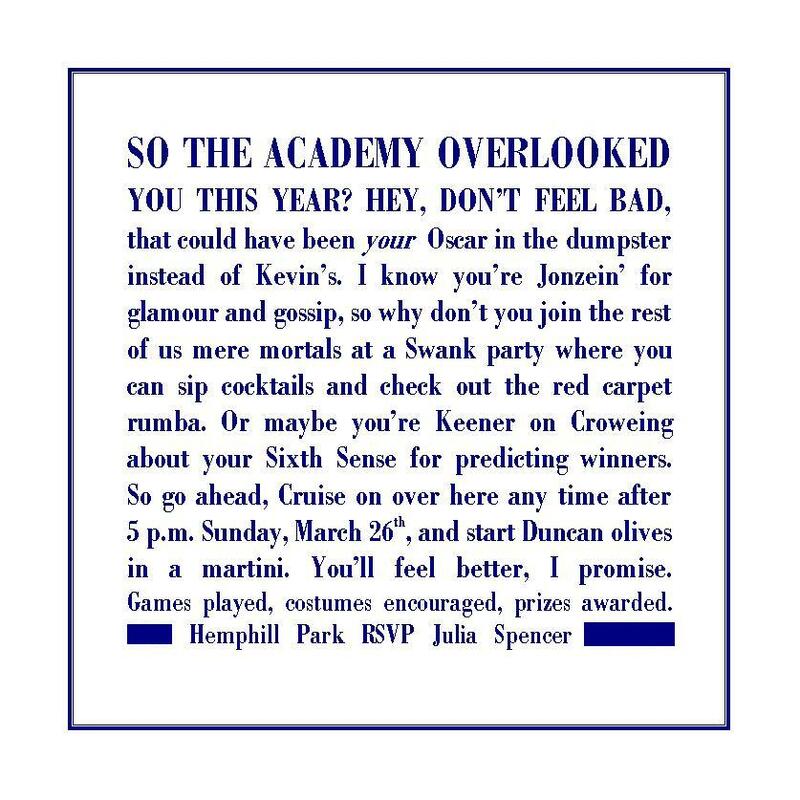 "American Beauty" won Best Picture honors that year, and my prediction about Kevin Spacey winning Best Actor also came true.